IsabelleFa’s seal is a sign of quality and exclusiveness. It promises that it’s jewelry is handmade, unique, crafted from the finest materials and with supreme skill. Their collection includes rings, necklaces, bracelets and earrings in gold and platinuim. 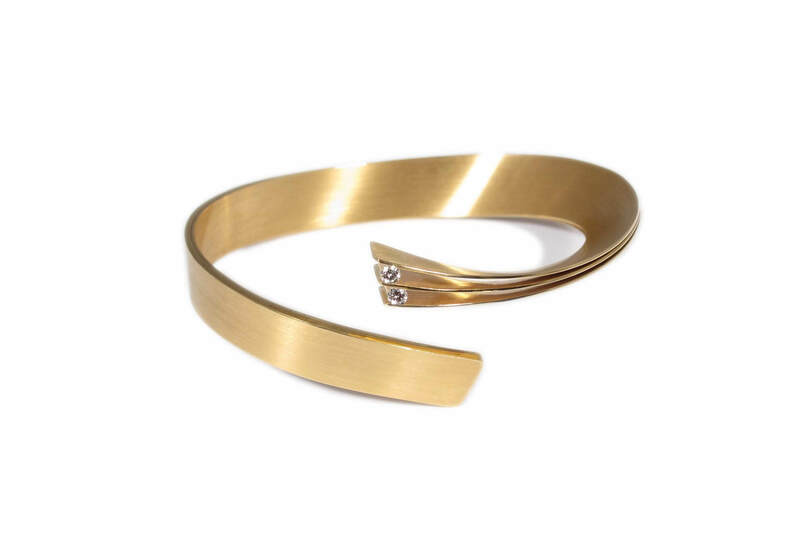 750/1000 yellow gold bracelet with a brushed finish. This piece features brilliant cut white diamonds.